Jimmy Kimmel is ready to take on U.S. Senate candidate Roy Moore. The host of ABC's "Jimmy Kimmel Live!" got into a Twitter spat with the Alabama Republican over a stunt that Kimmel's show had orchestrated on Wednesday at a Moore event. 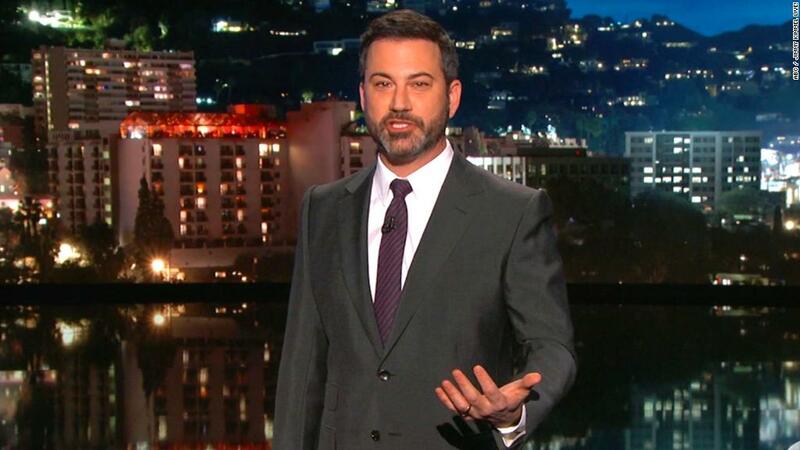 Kimmel had even more to say about the Twitter feud on his show Thursday night. ". @jimmykimmel If you want to mock our Christian values, come down here to Alabama and do it man to man. #ALSen," Moore had tweeted earlier in the day. Kimmel read the tweet during his opening monologue. "And I responded, and he responded back, and I responded again. It's all on Twitter, but the bottom line is this: I accept the invitation. I will come down there." Moore is running for a U.S. Senate seat out of Alabama amid accusations of sexual assault and that he pursued relationships with teenage girls while in his 30s. He has denied those allegations. Kimmel went on to reference Moore's alleged misdeeds with underage girls, saying he would meet Moore at the mall. "We'll have a little Panda Express, and we'll talk about Christian values," Kimmel said. The feud started after Kimmel had dispatched "Jimmy Kimmel Live!" writer Tony Barbieri to an Alabama church, where Moore was giving a speech on Wednesday night. Playing the fictional character Jake Byrd, Barbieri appeared in the crowd shouting satirical support for Moore while others heckled and interrupted the candidate's speech. On Thursday, Kimmel considered that maybe when Moore tweeted "do it man to man," he meant he wanted to fight him. "If you are, I accept by the way. I accept that invitation," Kimmel said. "There is no one I would love to fight more than you. I will put my Christian values aside just for you and for that fight." Kimmel then told Moore that he would "wear a Girl Scout uniform so you can have something to get excited about." The late night host told Moore that they should give all the proceeds from the fight to charity. "My charity will be the women who came forward to say you molested them," he said. The host then spoke directly to the people of Alabama. "We love Alabama. We love Alabama so much we sent Reese Witherspoon to make a movie about you," Kimmel said, speaking as someone from Hollywood. "We just don't like alleged child molesters, and we hope you can see your way clear to not electing one to the Senate of the United States of America."